Sports betting is a pastime enjoyed by many people from all walks of life. Sports betting is certainly not a new phenomenon and has been around for centuries. However, today thanks to the rise of the Internet, more people than ever before have access to online gambling and the chance to wager on their favorite sports. Whether in a brick-and-mortar bookmaker or a virtual environment, sports betting today encompasses almost every sport you can think of. 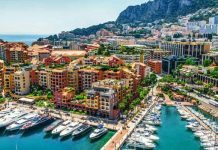 Each country, however, has its own popular options that take the primary market share. Here, we look at today’s sports betting trends – the long-term favorites and those sports that have recently emerged on the scene and are rapidly rising to take the top spots. When it comes to sports betting in the United States, one sport dominates the sportsbooks. Far and away, the most popular sport on which to bet is football, with 77 percent of gamblers placing bets on this sport. The other three major contenders lag well behind – only 24 percent bet on basketball; 20 percent on horse racing; and 17 percent on baseball. Following behind are soccer, mixed martial arts, hockey, and golf. Of course, it comes as no surprise these four sports are the most commonly chosen for betting among punters in the U.S. because they are the four most commonly played and most commonly watched sports. Even in areas where betting is illegal, friends often bet with each other privately over the outcome of these sporting events and have done so for generations. However, even though the main four types of sports dominate American sportsbooks, there are still plenty of punters who are interested in placing wagers on more niche sports, such as motor racing, greyhound racing, tennis, cycling or even boxing. While traditional sports are still taking the lion’s share of the market, one new emerging trend is the prevalence of e-sports bets. Just five years ago, e-sports did not exist as a professional sport. However, these days there are more than 80 million competitors around the world, and the number is growing at an enormous rate. Professional teams and leagues are sprouting up everywhere. There are multimillion-dollar prize funds at the end of season championships and millions of people watch these battles online. In South Korea, e-sports have become the country’s national game! Betting on e-sports is an especially lucrative market, with the total value of e-sports bets per year coming in at more than $500 million. It is estimated that by 2020, the e-sports betting market is going to be worth an amazing $1.18 billion in revenue. Another new sports betting phenomenon in the United States is DFS or Daily Fantasy Sports. This rapidly growing fantasy sports offshoot accelerates the competition to finish in just one day, with players paying their entry money into the prize pool and the top performers sharing the pool after the operators have taken their cut. This industry is now worth billions of dollars and, in some states, there is so much demand for this type of betting, the FBI is trying to have it made illegal. Increasing numbers of people are betting on fantasy sports, and one of the main reasons why the sports-betting industry is continuing to thrive is the ease with which punters can now place a wager. In the past, it was necessary to leave the house and physically place a bet. 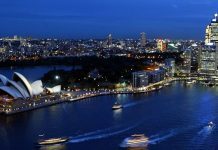 These days, however, with the rise of the Internet, there are no barriers, and punters can place wagers on their smartphones and mobile devices. The DFS market capitalizes on this trend, making it simple to place bets on a wide range of potential outcomes. For example, with daily fantasy football, players can choose the players who will have major games over the course of the coming week. Depending on the game’s stats, players are given a specific number of points per week and some people spend a fortune playing with various teams around the league, with serious players making a lot of money. One further element that has propelled the growth of this industry is its low entry costs. 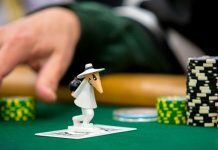 Players are often able to bet very small sums, often as low as $1, and this has eradicated one of the major barriers to gambling. Although understanding the betting odds is still important when placing a wager, with such small amounts in play, many punters simply enjoy the fun of betting, and the extra benefits that come with winning are just added bonuses. Another betting category that has risen in popularity dramatically in the United States is “in-play betting.” This allows punters to place various wagers on bets on their chosen sporting event while the game is under way right up until the end of play. 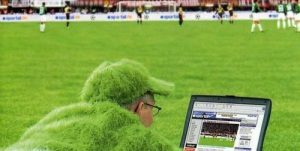 The attraction of this vetting market is that hedging and laying off bets placed before the event began is possible, and as the odds are continuously updated in real time, this form of betting offers an extremely exciting way of wagering. While virtual sports betting has been popular in the United Kingdom for a while, it has only recently made its entrance in the United States. However, it has proven to be so popular, William Hill U.S. increased its number of U.S.
Sportsbooks that offer virtual horse racing to nine from just two in the last year. 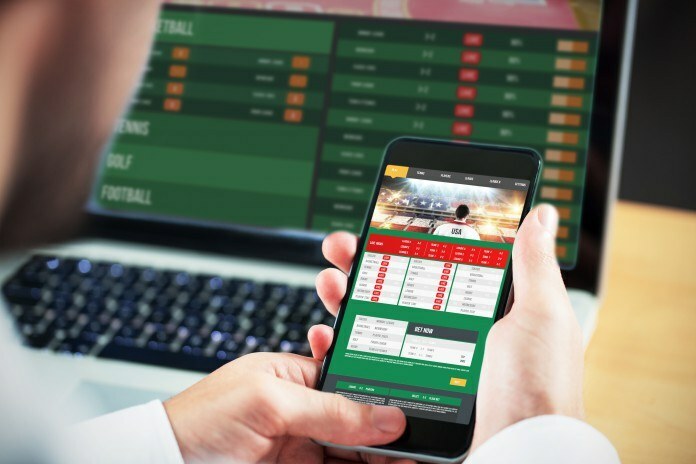 The technology has just made its way into casinos in Nevada, and, just this month, the first online virtual sports betting site was launched. 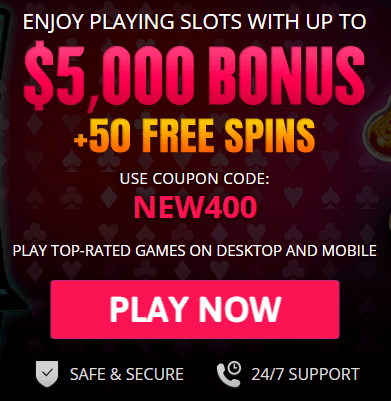 Virtual sports amalgamate sports betting with slot machines and e-sports into an exciting way of betting that is entertaining and realistic with a continual flow of fresh content all day. Scheduled virtual events can run every few minutes, with punters placing their bets on their outcome. Contrary to e-sports, which involve two human players competing against each other, virtual sports betting is determined via a computer algorithm, and because it is legal in the U.S., it is a trend that is starting to take off in a big way. 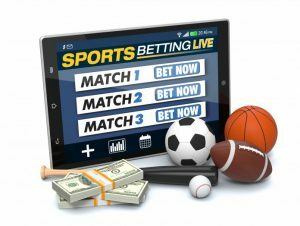 As virtual sports betting spreads to more land-based casinos, and now has an online presence, as well, it is likely to appear on many more online casinos before too long. There has never been a more exciting time in sports betting. There are so many different wagering options available and so much variety of sports to choose from, from the real to the virtual. Rather than only having the basic popular sports to offer, punters can now take the opportunity to bet on even niche sports and events and are sure to find a wealth of wagering possibilities on their favorite sport, no matter how obscure. From traditional options, such as football, baseball, and basketball, to e-sports, virtual sports, and fantasy leagues, punters can bet online or in person at a betting shop and have the opportunity of scooping a huge win. Just remember, the legality of sports betting varies considerably depending on the state in which you live.